Where is it? : Kelvin Powrie Conservation Park is located eight kilometres north west of Keith between the Dukes Highway and the Adelaide – Melbourne railway line. 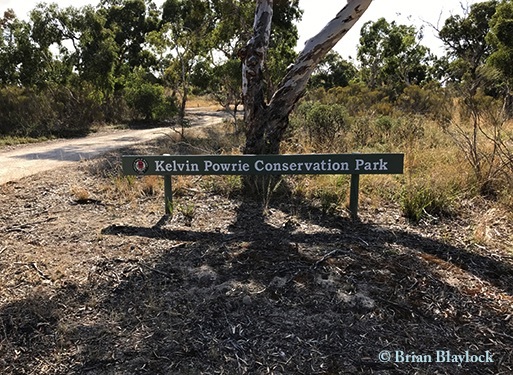 History: The park was first proclaimed on 4 March 1971 as Kelvin Powrie National Park and re-proclaimed on 27 April 1972 as a Conservation Park. Pink gum (Eucalyptus fasciculosa) low open woodland with a heath understorey in the southern part of the park. Treeless heath associated with low sandy rises in the northern part. 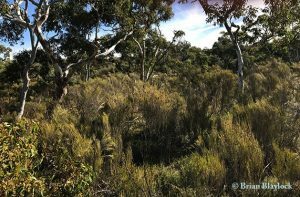 Coastal white mallee (E. diversifolia) woodland – a band spans the central part of the park in a north west – south east direction and corresponds with the crest of the dune system.